The NSW Government is improving the management of our precious marine estate with the launch of a new Threat and Risk Assessment Framework. Minister for Primary Industries, Niall Blair, and Minister for the Environment, Mark Speakman, today released new guidelines on how the NSW Government will assess the threats and risks to our marine estate. “Last year, an historic bill passed the NSW Parliament to make sure the state’s marine estate is managed based on science and not politics,” Mr Blair said. “This is the first step in implementing this Marine Estate Management Act 2014, which sets out a robust legal requirement to assess economic, social and environmental threats, such as pollution, loss of biodiversity, restricted access, anti-social behaviour, and impacts of pests and diseases. Mr Speakman said the framework will consider not only the imminent threats to our coasts and marine waters, but also the cumulative impacts and potential threats over the coming decades. “This will allow the NSW Government to focus its efforts around the key threats to the marine environment, and deliver on its vision for a healthy coast and sea,” Mr Speakman said. - the Hawkesbury Shelf Marine Bioregion Assessment, covering the area from Newcastle to Shellharbour. The community is encouraged to have their say about both of these projects and the framework in the coming months, and the Authority may refine the framework over time after it has been applied to the first two projects. The Ministers also today launched an interactive web portal to allow the community to have input into the Hawkesbury Shelf Marine Bioregion Assessment by providing local information on benefits and threats associated with their favourite sites within the bioregion. The NSW Government is now seeking crucial information from the public regarding sites within the bioregion, the benefits they gain from their use of these sites, and what they see as key threats and ideas on how to manage those threats. The web portal will be open until 28 August 2015. Come along to Whitney Reserve, Pittwater’s venue to participate in this year's National Tree Day. Come along and help plant areas of the creekline and adjacent slope with native plants. Please wear appropriate clothing (long sleeves, trousers, sturdy shoes and a hat) and bring a bottle of water. Council will provide you with refreshments and free native plants for you to plant in your own garden. The Senate has passed a Renewable Energy Target (RET) that will result in more than 23.5% of Australia's electricity being derived from renewable sources by 2020. There will be considerable growth in both small and large scale renewable energy by 2020 and this provides the renewables industry with the certainty it needs. We're also protecting industry and jobs by providing a 100% exemption for Emissions Intensive Trade-Exposed industries from costs associated with the RET. As promised, there will be no change to household solar. The 33,000 gigawatt hour Renewable Energy Target will not be reviewed until 2020. This will give the renewable energy industry the certainty it needs to grow. The Clean Energy Regulator will provide an annual statement to Parliament on how the scheme is tracking towards the 2020 target, and any impact the RET is having on electricity prices. The Renewable Energy Target includes biomass as an eligible form of renewable energy generation. This allows waste that would otherwise be burnt or rot on the floor of the forest to generate power and reduce emissions. We're committed to ensuring renewables continue to play an important role in Australia's energy mix in the future, and the Government's measures passed by the Parliament will achieve this. A record $1.66 billion in this year’s NSW Budget will be invested to protect the State’s precious national parks and to preserve and to protect significant heritage assets and local communities from pollution and environmental harm. This is a 3.9 per cent increase on last year’s Budget to help secure the State’s environment and heritage for generations to come. • More than $160 million will be allocated to the NSW Environment Protection Authority (EPA) to ensure strong environmental regulation of industry and enforcement of environmental legislation, and a strong response to pollution incidents. • This includes $5.6 million which will be allocated to support the EPA’s role as the sole authority undertaking compliance and enforcement for all gas activities in the State under the NSW Gas Plan. • More than $56 million will also be spent by the Environmental Trust to increase opportunities for the community, industry and agencies to protect their environment through restoration, research and education and support programs. • $66 million (within the EPA’s budgeted expenditure of $160 million) will be allocated to transform waste management in NSW and to increase education around better waste management practices across all sectors of the community. • An additional $49 million is being contributed to these programs from the Environmental Trust, to support a total investment in waste and resource recovery of $115 million. • The Government is committing $2.65 million towards the design andimplementation of a cost-effective container deposit scheme to reduce litter. • $26 million will be allocated to help the community to prepare for floods and coastal erosion. The funding will support local councils to develop and to implement coastal and floodplain management plans and to undertake works to restore and protect the State’s magnificent coastline and its estuaries. • A further $34 million will be set aside to improve the energy productivity and competitiveness of the NSW economy in order to help prepare the State for the challenges of the future, including changing climate. • $7 million will be allocated to the Office of Environment and Heritage for the design of the biodiversity reforms that will deliver the Independent Biodiversity Legislation Review Panel’s recommendations. • More than $120 million (over four years) will be spent to improving parklands (Western Sydney Parklands and Parramatta Park) in Western Sydney, where more than three million people call home. • More than $22 million will be spent by the Royal Botanic Gardens, Mount Annan and Mount Tomah Botanic Gardens to upgrade facilities and infrastructure, including construction of the new Horticultural Display Centre. • Nearly $13 million of capital investment will be made in Centennial Parklands for upgrading park facilities, including completion of Robertson Road Synthetic Fields and improvements at E.S. Marks Athletics Field. • The NSW Government will commit $47 million towards conserving and celebrating the State’s unique Aboriginal and non-Aboriginal cultural and historic heritage. Geotechnical investigations into the stability of the popular rock platform known as Wedding Cake Rock have confirmed the National Parks and Wildlife Service’s (NPWS) fears that all, or part of, the unique formation could collapse without warning. NPWS Regional Manager, Gary Dunnett said safety concerns for the many visitors to the site prompted NPWS to close access to the rock shelf until geotechnical investigations were completed, which included a photographic survey of the underlying rock strata using a drone. “We have now received the results and the report is clear - standing on the rock platform risks a truly tragic outcome,” Mr Dunnett said. “The geotechnical report assessed the stability of Wedding Cake Rock and found that the edges or the entire formation could collapse at any time. “Perhaps most alarming was the drone footage that clearly shows that Wedding Cake Rock is precariously balancing on the edge of the cliff and severely undercut. “Alarmingly, the results of earlier collapses can be seen scattered over lower ledges and at the bottom of the cliff. “The vertical fractures that make the rock look like a slice of wedding cake clearly mark where it will eventually give way and tumble to the sea fifty metres below. “We will now take action to create a new and safer way to allows visitors to take in the beauty of the site without compromising their safety. “This will likely mean a new viewing platform further back from the edge that will allow people to safely take those incredible shots of the rock formation that have become internationally recognisable. Mr Dunnett said while the site has always been a highlight of the Royal National Park Coast Walk, its popularity grew rapidly over the last three months, driven by a social media trend of posting photos from the site. “All cliff edges are dangerous but in this instance we were particularly concerned with the number of people standing on the rock shelf and close to the edge at any one time and what would happen if the platform gave way,” Mr Dunnett said. “This is a really beautiful location and we still want people to be able to visit this and other specular rock formations along the Royal Coast Walk -the key is doing it from a safe distance. “While the tests were being completed, NPWS took every precaution to protect visitors, putting up temporary safety fencing and having staff on hand over the weekends. The temporary fence will remain in place along with clear signage warning visitors that the rock platform is unstable and dangerous to stand on. “The site was named as a result of it resembling the squared silky layers of a white wedding cake – the colour an indication that the iron in the sandstone had been leached out over time and leaving it pure white but also significantly weakened. The NPWS has committed to ensuring that whatever safety precautions are put in place, visitors can continue to take in the iconic strong white angular edges of Wedding Cake Rock for as long as it remains before plummeting into the sea. Three of four coal seam gas exploration licences covering our drinking water catchments have been cancelled. Only Petroleum Exploration Licence 2 (PEL 2) remains. PEL 2 is a massive coal seam gas exploration licence that stretches from the Southern Highlands and Illawarra in the south, across south west suburban Sydney and extends to the Central Coast in the north. PEL 2 covers residential areas including urban growth areas in Sydney's south west as well as water catchments that provide drinking water to millions of people. The CSG licence was first granted by the NSW Government back in 1993. Since then it's been renewed twice — first by Eddie Obeid, then by Ian Macdonald. But the public haven't had a chance to comment. AGL have been given until 10 July 2015 to give the government documentation about why this licence should be renewed. We're calling on you as Minister for Energy and Resources to also accept submissions from the general public, because it's time we got the chance to have a say about coal seam gas exploration in our communities and water catchment areas. PS: You could always just buy-back PEL 2 under the scheme your government introduced, you have until June 30. Snubfin dolphins were newly discovered in 2005, but they are already under threat. Please ask the Government of Western Australia to commit to a marine sanctuary in Roebuck Bay. The largest known population of snubfin dolphins can be found playing and hunting in Roebuck Bay, on the doorstep of Broome. We've been asking the WA Government to commit to a new marine park in Roebuck Bay, to protect these amazing creatures. The Government has just released a draft, and astonishingly, the planned Yawuru Nagulagun/Roebuck Bay Marine Park has no fully protected "sanctuary zone". If the park goes ahead, it would become the only ocean marine park in WA without a sanctuary zone. The science behind marine parks shows sanctuary zones are their heart, increasing the size and abundance of marine life. They provide a safe haven for breeding fish and a healthy feeding ground for animals like snubfin dolphins, turtles and dugongs. Fortunately this is just a draft and the Government is now asking us to have our say on the future of Roebuck Bay. Your voice is needed to make sure the WA Government provides a protected sanctuary for the marine life of Roebuck Bay. Please send your message of support today. Thanks for speaking up for our snubbies! The Sydney Harbour Federation Trust is inviting submissions from the public regarding proposed landscaping and park structures at the northern end of the former HMAS Platypus site in Neutral Bay. The proposal comprises landscaped terraces, plazas, paths, lookouts, wharf improvements and a spiral walkway that interprets the site’s historical use. The proposal would complete the remediation of contaminated ground in the northern part of the site, in line with the outcomes identified in the Harbour Trust’s Comprehensive Plan. It marks the final stage of the below-ground remediation works and the beginning of the vision of moving Platypus towards becoming a new Urban Park on Sydney’s lower north shore. The proposal is on public exhibition from Thursday 18 June to Wednesday 15 July 2015 and submissions are invited until 5pm on Wednesday 15 July 2015. I am delighted to mark World Environment Day 2015 with a call for nominations for this year's Environment Minister's Award for a Cleaner Environment. This award aims to recognise outstanding contributions by Australians towards achieving a cleaner, healthier environment and a more resilient and sustainable Australia. The Australian Government's plan for a Cleaner Environment plan rests on the pillars of Clean Air, Clean Land and Clean Water and national heritage protection. I want this award to recognise Australians taking practical, direct action under one or more of the three environment pillars - air, land and water. I know how many groups and individuals across the nation are working locally to achieve great things, not only for their own communities but for environmental health of the nation. The Minister's award is part of the 2015 Banksia Sustainability Awards programme and is open to individuals, businesses or community organisations working towards a cleaner environment. Projects that demonstrate how they have contributed to the Government's Clean Air, Land and Water environmental pillars are eligible for consideration. Projects need to address at least one or more of the pillars. Clean Air entries could involve projects including revegetation and land management, energy efficiency, pollution control and reduction of greenhouse gas emissions, recycling and waste management. Clean Land entries could include work to protect threatened species, eradicate weeds and reduce fuel in bushland reserves, protect beaches from erosion or rehabilitate coastal foreshores. Clean Water entries may be stabilising riverbanks and reducing weed density to promote healthy local waterways or taking action to help marine species in our oceans. Nominations close on 4 September 2015. 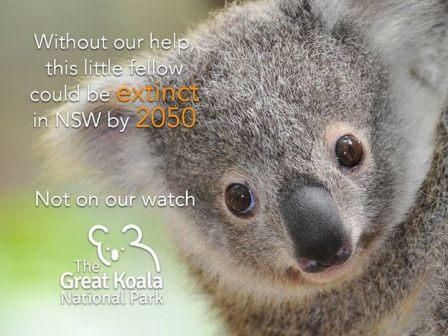 The Great Koala National Park is a grand but achievable plan to secure the future of eastern Australia’s koalas before they disappear forever. Located in the Coffs Harbour region of eastern Australia, the 315,000 ha park would ensure the protection of almost 20% of the state’s remaining koalas, as well as the area’s World Heritage forests and the threatened species that share their home, such as the Spotted-tailed Quoll and Powerful Owl. As a strong voice for nature since 1957, we know what is involved to get new national parks proclaimed and have the capacity to in-act change but we need your help. The NSW Environment Protection Authority (EPA) announced today the opening of a new grants program designed to grow the market for recycled organics in NSW. For the first time, councils, businesses, government and community groups can apply for funding of up to $500,000 for any project that promotes or develops recycled organics. Amanda Kane, Organics Manager, NSW EPA, said, “The new grant program complements the work the EPA is doing to increase kerbside collections and processing capacity for organics in NSW. Now we’re looking for industry and local government to work with us to close the loop by developing new and innovative ways to increase demand for the recycled product. Stream 1: Product Quality – Grants of between $10,000 and $50,000 are available to contribute to projects that will improve product quality and/or understanding of the benefits of quality recycled organic products. Stream 2: Market Development – Grants of between $50,000 and $500,000 are available to contribute to projects that will develop new markets or expand existing markets for recycled organics. Interested applicants have the opportunity to attend one-of-three information sessions to find out more about the new grants and the application process. The first session will be held on 25 June Skillset Flannery Centre, 341 Havannah Street, Bathurst between 10am to 1pm. Parking is available on-site. The second session will be held on 29 June at the Holiday Inn, Marsden Room 18-40 Anderson Street, Parramatta between 10am to 12pm. Visit the EPA website to download the Organics Market Development grant application form and guidelines and to register for an information session. Successful conservation action has boosted the populations of Iberian Lynx and Guadalupe Fur Seal, while African Golden Cat, New Zealand Sea Lion and Lion are facing increasing threats to their survival, according to the latest update of The IUCN Red List of Threatened Species™. Ninety-nine per cent of tropical Asian slipper orchids – some of the most highly prized ornamental plants – are threatened with extinction. The update also shows that over-collection and habitat destruction are placing enormous pressure on many medicinal plants. “This IUCN Red List update confirms that effective conservation can yield outstanding results”, says Inger Andersen, IUCN Director General. “Saving the Iberian Lynx from the brink of extinction while securing the livelihoods of local communities is a perfect example. Following six decades of decline, the population of Iberian Lynx Lynx pardinus increased from 52 mature individuals in 2002 to 156 in 2012. The species has now moved from the Critically Endangered to Endangered category on the IUCN Red List. This was achieved thanks to intensive conservation action including the restoration of rabbit populations – the main prey species of the Iberian Lynx - monitoring for illegal trapping, conservation breeding, reintroduction programmes and compensation schemes for landowners, which made their properties compatible with the habitat requirements of the Iberian Lynx. The species can be found in two regions of southwestern Spain as well as southeastern Portugal, which hosts its small reintroduced population. Guadalupe Fur Seal Arctocephalus townsendi, which was twice thought to be Extinct due to hunting in the late 1800s and 1920s, has now improved in status. It has moved from the Near Threatened category to Least Concern thanks to habitat protection and the enforcement of laws such as the USA Marine Mammal Protection Act. The species’ population rebounded from some 200 to 500 individuals in the 1950s to around 20,000 in 2010. Prior to exploitation for its dense, luxurious underfur, Guadalupe Fur Seal was likely the most abundant seal species on the islands of southern California, with a population estimate of 200,000. According to the update, several mammals are facing increased threats from hunting and habitat loss. The extremely reclusive African Golden Cat Caracal aurata has moved from Near Threatened to Vulnerable due to population decline. New Zealand Sea Lion Phocarctos hookeri – one of the rarest sea lions in the world – has moved from Vulnerable to Endangered, mainly due to disease, habitat modification caused by fishing, and accidental death as a result of bycatch. The species has never recovered from the severe population depletion which occurred due to commercial hunting early in the 19th century. Despite successful conservation action in southern Africa, Lion Panthera leo remains listed as Vulnerable at a global level due to declines in other regions. The West African subpopulation has been listed as Critically Endangered due to habitat conversion, a decline in prey caused by unsustainable hunting, and human-lion conflict. Rapid declines have also been recorded in East Africa – historically a stronghold for lions – mainly due to human-lion conflict and prey decline. Trade in bones and other body parts for traditional medicine, both within the region and in Asia, has been identified as a new, emerging threat to the species. Assessments of all 84 species of tropical Asian slipper orchid – some of the most beautiful ornamental plants – show that 99% of these species are threatened with extinction, primarily due to over-collection for horticultural purposes and habitat loss. All international commercial trade in this species is prohibited under the Convention on International Trade in Endangered Species (CITES). However, highly damaging illegal trade continues due to a lack of adequate enforcement at national levels. Although these species are mostly represented in cultivated collections, their loss in the wild will have major impacts on their genetic diversity and the species’ continued existence. For example, the Purple Paphiopedilum Paphiopedilum purpuratum, a rare species found in Viet Nam, China and Hong Kong, is listed as Critically Endangered. Threats include habitat fragmentation and degradation, and ruthless collection in the wild for the regional and international horticultural trade. Of the 143 species of goby assessed in the Caribbean region, 19 are threatened with extinction mainly due to a 59% decline in coral reef habitat between 1979 and 2011, and the invasive Lionfish Pterois volitans. Gobies are one of the largest families of marine fish. They comprise more than 2,000 species, including some of the smallest vertebrates in the world, such as the Critically Endangered Dwarf Pygmy Goby (Pandaka pygmaea), which is only 1 to 1.5 cm long. The Peppermint Goby Coryphopterus lipernes, which grows to a maximum of 3 cm, has been listed as Vulnerable. Previously listed as Least Concern, the Glass Goby Coryphopterus hyalinus is now Vulnerable due to increased threat from the invasive Lionfish. There are plans afoot to destroy part of Berowra Valley National Park to make way for sports fields. The national park was only created recently after years of community campaigning, a victory the plan of management threatens to undermine. Local groups, including Save Stringy Bark Ridge, are determined to maintain the hard-fought protections afford by winning national park status, but they need your help. See Submission HERE links you to the Berowra Valley National Park Draft Plan of Management and how to lodge submissions. Stringybark Ridge, Pennant Hills, in Berowra Valley National Park is threatened with development of sporting fields. This rare ridge top Shale Sandstone Transition Forest should be protected. Support the NPWS Masterplan for the area cleared several decades ago; support informal camping, particularly for the Great North Walk, and picnic areas for families. What is the Community Benefits Fund for Gas? The Government has announced the establishment of the Gas Community Benefits Fund to benefit communities in which gas producers operate. The Government doesn't have a fixed or pre–determined model (design) which it has committed to, in the development of the fund. Seeking the view of the public and stakeholders will be critical to maximising the value of the fund for communities in NSW. NSW Trade and Investment, Resources and Energy is responsible for the establishment of the fund and has developed a discussion paper to facilitate the establishment of the Fund. Please note: in the discussion paper, questions are presented to provide feedback. The questions are a guide, and are not intended to restrict comments on any other issues that you consider relevant to the design of the Fund. What is the draft plan of management for? The draft plan is on public exhibition until 25th September 2015, it provides members of the community with the opportunity to have a say on the future management direction/s for the Aboriginal area. 3.56 The committee acknowledges the vitally important role that EDOs have undertaken over many years. The EDOs have empowered communities through education about their legal rights regarding the environment and the provision of advice on legal matters. 3.57 The EDOs also play a significant role in providing access to justice where it is in the public interest for environmental matters to be pursued by those who cannot afford private legal representation. By providing this important legal assistance, the EDOs serve to reduce frivolous litigation by taking very few matters to court. The committee notes the finding of the Productivity Commission that, in the past five years, no cases in which the EDOs were engaged were dismissed on the grounds that they were frivolous or vexatious. 3.58 The committee is concerned that without the EDOs, communities and individuals across Australia will not be able to access legal assistance or legal advice on matters that directly affect their local environment. 3.59 The committee heard that the future is bleak for the EDOs. Without reinstatement of Commonwealth funding, all EDO offices now face an uncertain future with some facing closure or are reducing the services they provide. The environment is a public good and those who seek to protect it should not have to rely on the donations or indeed crowd-funding. 3.60 The reasons given by the government for the defunding of the primary avenue communities have to access environmental legal aid are not compelling, particularly as there appears to have been no analysis by the Attorney-General's Department on the environmental and social impact of the defunding. Further, no analysis has been undertaken on the impact the defunding will have on the court system, as the EDOs have acted as a filter for frivolous or vexatious litigation. 3.61 While acknowledging the financial constraints faced by the Commonwealth government, the committee considers that the long-term cost to communities and to the environment will far outweigh the short-term financial gains achieved by the defunding of the EDOs. 3.62 The committee recommends that the Commonwealth Government establish new funding agreements for the Environmental Defenders Offices which reinstate the recurrent funding previously provided. A proposal to extend the approved duration of mining operations at the Wongawilli Colliery will be on exhibition from today for community feedback. The Department of Planning and Environment is keen to hear the community’s views on the application which seeks to extend the completion date of mining operations at the Wongawilli Colliery Nebo Area Project site for five years until 2020. To make a submission or view the environmental impact statement, visit www.majorprojects.planning.nsw.gov.au. Submissions can be made from Monday 22 June 2015 until Monday 6 July 2015. A low-input approach to managing vineyard weeds by growing winter-active plants under vines could see wine grape growers reduce costly herbicide sprays and cultivation, conserve soil moisture and boost soil health. NSW Department of Primary Industries (DPI) Wagga Wagga-based soil microbiologist, Melanie Weckert, said trials in the Riverina and South Australia (SA) aim to deliver softer, sustainable vineyard management systems to growers. "Management of the vineyard floor is an important area to target as this area under the vines directly impacts on vine yield, quality and profitability," Dr Weckert said. "Winter-active grasses and legumes which can supress weeds and are unlikely to compete with vines for soil water and nutrients offer a cost-saving alternative to the estimated $12 million Australian vineyards annually spend on managing weeds using herbicides. "Cultivation too, is a costly weed management strategy in terms of machinery, fuel and labour, which could be replaced with the under-vine pasture option." Barley grass, annual ryegrass, native wallaby grass, medic, clover, fescues and Kasbah cocksfoot were planted last June at McWilliam's Wines, Griffith and seven SA trial sites. Dr Weckert said the best performers in the first year of the trial seem to be clover, medic, wallaby grass, Predator hard fescue and Kasbah. "We are also interested in measuring the benefits of improved soil health to the vines - growing living plants under the vines can improve soil structure," she said. "Healthy soils promote healthy vines - living plants produce carbon and encourage soil microbial activity, providing a productive soil environment for the vines. "Reducing or eliminating the need to spread compost, hay and other mulches in vineyards offers additional cost-saving benefits." Currently researchers are monitoring pasture plant growth, checking any weed presence, measuring biomass and seed production and recording flowering time and persistence of the plantings. Next Generation Sequencing, which extracts genetic information, is being used to measure soil microbial populations and nutrient cycles along with measurements of soil moisture and strength. Funded by the Australian Grape and Wine Authority, the National Wine and Grape Industry Centre at Wagga Wagga is collaborating with Chris Penfold and the University of Adelaide in the three-year project, which aims to boost soil management practices, reduce production inputs and cost and deliver environmental and production benefits. The NSW Opposition is calling for a suspension of the Government’s controversial 10/50 rules until a review into the new land clearing code is complete – with secret government department documents calling for a return to the previous system governing bushfire management. The 10/50 vegetation clearing code allows landowners to clear trees within ten metres and vegetation within 50 metres of a home on their property without seeking approval. • poses potential risks to Aboriginal and cultural heritage. The previous system centred on the use of bushfire hazard reduction certificates issued by local councils and the Rural Fire Service (RFS), in accordance with existing environmental protections. Shadow Minister for the Environment Penny Sharpe said: “From the outset Labor flagged the potential unintended consequences of the 10/50 rule, and now the government’s own department is suggesting a return to the pre-10/50 bushfire management system. “The OEH highlights a number of significant impacts that make it clear 10/50 must be suspended until the current review is complete. “The OEH notes a range of negative impacts on the environment, biodiversity and Aboriginal and cultural heritage. “The OEH also warns the code is being applied inconsistently and could lead to a false sense of security in legitimately bushfire-prone areas. “Many communities across the state have seen their streets stripped bare by land owners rushing to improve the views of their properties, all the while holding the code and the self-assessed threat of ‘fire-damage’ as an excuse. “Areas legitimately exposed to the threat of bushfires, like the Blue Mountains, are sounding the alarm about the use of 10/50 in their area. “This bushfire-prone area has already identified that critical habitat is being lost with no evidence of a reduction in bushfire risk. “10/50 was not intended to be used for landholders to improve their views. Nor was it intended to be used to clear critical habitat for threatened species or exacerbate erosion and land slippage. Recovery of humpbacks in the Southern Hemisphere, progress in the management of aboriginal whaling, a collaboration with New Zealand on Hector’s and Maui dolphins, and new management information for the critically endangered vaquita are just some of the developments recorded by the Scientific Committee of the IWC in its annual report, published today. The report is the work of approximately 200 experts who form the IWC Scientific Committee and meet each year. Over two weeks, a broad, ongoing programme of work is first evaluated and then developed. This incorporates fieldwork conducted all over the world, and complex computer modelling to understand the status of the world’s cetacean populations and their sustainability in the face of many threats. The implications of whaling (both indigenous and under special (scientific) permit), environmental concerns like climate change and chemical pollution, and direct human impacts such as ship collision were all on the agenda at the 2015 meeting in San Diego. Evidence of the continued recovery of humpback whales in the Southern Hemisphere was one of the highlights of this year’s meeting. 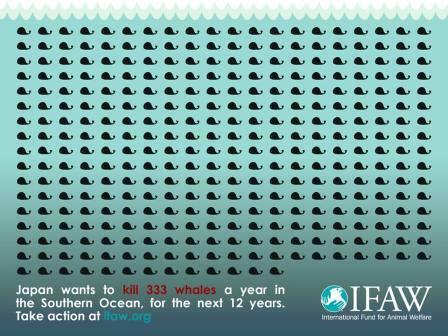 An eight year review of their status was completed and showed total numbers of around 97,000, contrasting with a low due to whaling of around 7,000, and a pre-whaling total of around 140,000. Different patterns of recovery have been observed in different populations, with those off the east coasts of South America, Africa and the west coast of Australia almost fully recovered, whilst those off Brazil and in the Oceania region are still recovering, but more slowly. Developments were also reported in management of aboriginal whaling. The Commission continues to regulate a number of small-scale, indigenous hunts and the Scientific Committee has been developing long-term, safe and precautionary ways to estimate sustainable catches for each one. The aim is to complete this complex task by 2018, when each hunt quota will be considered for renewal by the Commission. This year the Committee completed the task for the Greenlandic bowhead whale hunt, the sixth of eight hunts, and reported that it’s on track to complete the final two (Greenlandic fin and common minke whale hunts) ahead of the 2018 deadline. The Scientific Committee also provides advice to member governments on conservation issues concerning small cetaceans (dolphins and porpoises). Particularly serious concerns remain over the survival of the vaquita in Mexican waters, and the Hector’s dolphin (especially the Maui dolphin sub-species) of New Zealand. For both species, the major problem is by-catch in fishing gear. For Hector’s dolphins, some progress was made this year with an expert group established by the Committee to work with local scientists. This collaboration will re-analyse existing data and produce an agreed abundance (population) estimate for the Hector’s and Maui dolphins which it’s hoped will help inform policymaking. Having heard that a continuing decline means there may be as few as around 100 vaquita left, the Committee commended the Mexican government for its recent introduction of a two year ban on gillnets in the vaquita’s range. However it stressed that the ban should be made permanent and enforcement strengthened. It also urged the USA and China to do all they can to stop the illicit trade in totoaba, the endangered fish targeted by an illegal fishery whose gillnets accidentally catch the vaquita. The swimbladder of the totoaba is smuggled out to fetch extremely high prices in China. Attracting some media attention at this year’s meeting was the issue of special permit (scientific) whaling and Japan’s proposal for a new special permit programme in the Southern Ocean, known as NEWREP-A. An Expert Panel had already met to assess this proposal in February. Their report and Japan’s response to it were examined by the Scientific Committee at the meeting in San Diego. It was not possible for the Scientific Committee to reach a consensus view of the overall programme and so the report contains a summary of the discussion, highlighting areas of agreement where they existed (all recognised the value of the Expert Panel’s report) and concise statements of the differences of opinion where agreement did not exist; some scientists believed that the additional information provided by Japan was sufficient to allow the programme to go ahead as planned and others did not. All recognised the importance of continuing to work on additional analyses. In total, the thirteen sub-committees of the Scientific Committee considered more than 100 research and working papers during two weeks of parallel sessions and plenaries. This is just a flavour of the breadth of work covered, more of which will be highlighted on the IWC website over the coming weeks. To read the Scientific Committee report click here. • clarify Government policies so they are easier for the community to understand and industry to navigate, including policies around biodiversity offsets, impacts to endangered swamps, water regulation and voluntary land acquisition. The second stage of consultation will involve exhibiting the remaining Integrated Mining Policy documents and will occur in coming months. The Integrated Mining Policy will apply to all State significant mining developments, including coal and mineral mines. It does not include petroleum operations or coal seam gas proposals, or any exploration activities, and it does not change existing legislation (further coal seam gas reforms are being developed as part of the NSW Gas Plan). Submissions are invited until 9 July 2015. Read more and have your say. A proposed whole-of-government approach applying stringent, consistent requirements to mining applications is on exhibition for community and industry feedback. The improvements would mean better information for communities living near proposed mines and are part of the wider plan to improve mining regulation in NSW. “The community and industry have raised concerns that the system is too complicated and difficult to navigate,” a Department spokesperson said. requiring information from mine applicants much earlier in the assessment process. This includes showing how they arrived at their preferred project designs so community members can better understand why planning decisions are made. providing one, whole-of-government set of Secretary’s Environmental Assessment Requirements for mining applications. This will be clearer for applicants to comply with and easier for the community to understand. clarifying Government policies so they are easier for the community to understand and industry to navigate, including policies around biodiversity offsets, impacts to endangered swamps, water regulation and voluntary land acquisition. “Mining is vital for NSW. It provides jobs for tens of thousands of people and helps unlock the state’s economic potential,” the spokesperson said. The second stage of consultation will involve the remaining IMP documents will occur in coming months. “I thank the Robinson family and the local community for their assistance and support in ensuring the protection and declaration of the Nandi Common Aboriginal Place,” Mr Speakman said. Member for Barwon Kevin Humphries said Mr Robinson was a passionate believer in the preservation of local history and felt that “Nandi” should be recognised and acknowledged for the important role it has and continues to play in the cultural identity and wellbeing of the local Aboriginal community. Australian patients are being forced to wait up to 15 months longer to access the latest breakthrough medicines than in the US or Europe because drug companies are delaying bringing them down under, a new landmark report has revealed. The independent review of the Therapeutic Goods Administration’s (TGA) medicines and medical devices regulatory framework – released today – finds Australia’s safety regulator had one of the most efficient and consistent approval processes in the developed world. This includes Australia being on average 90 days – or three months – faster than world-leaders Europe to approve new medicines as safe. However, the review has also confirmed Australia is being unfairly categorised as ‘slow’ when compared to the rest of the world because some drug companies were making Australians wait for medicines while they first tested them in bigger markets like the US and Europe. Minister for Health Sussan Ley said Australia continued to list drugs as quickly and efficiently as possible and was committed, through this review, to working with medicines manufacturers to improve approval process times, and cut red tape, without compromising quality. “The Abbott Government continues to demonstrate our commitment to listing new drugs as fast as possible on the Pharmaceutical Benefits Scheme by doubling Labor’s effort in half the time. “To continue to achieve this – and encourage even greater access to new drugs for patients - we want to ensure Australia’s drug safety approval system is even faster and more-efficient while maintaining our high safety standards. “This review proposes a number of ways to achieve this, including cutting red tape and reducing international duplication of drug approvals, and we are considering it closely. “However, this independent expert review also debunks the myth that Australia is slow at approving new medicines when compared to the rest of the world. “For example, it finds Australia has one of the most consistent and reliable approval system of key developed countries and on average was about three months faster than world-leader Europe. “Yet, the review also finds Australians are being delayed access to new innovative and potentially life-saving medicines by drug companies by an average six months longer than the US or Europe. However, the review also finds Australia receives drug applications on average six months after the US, compared to just 20 days on average for Europe. Therefore, when factored in, this leads to a significant blow out in Australia’s approval times for new drugs when compared to the rest of the world. The TGA Review makes a total of 32 recommendations, including new ways to expedite drug approvals through a multi-tiered approval system that will potentially include allowing drugs approved in other countries with similar health and safety standards as Australia to be considered for fast tracked approval if the evidence stacks up. In Australia, medicines must be approved as safe by the Therapeutic Goods Administration before they can be considered for listing on Australia’s Pharmaceutical Benefits Scheme. Ms Ley said Australia in addition to the strong performance of the TGA on the world stage, Australia also had one of the fastest turnarounds for listing drugs for government subsidisation once approved as safe in the world, with the nation’s independent expert Pharmaceutical Benefits Advisory Committee averaging just 17 weeks from submission to recommendation. •The TGA outperforms the EMA (European Medicines Agency) and a number of medium sized regulators in terms of its median approval time. •In terms of predictability of approval times, the TGA, along with the EMA, is setting the benchmark for other NRAs (National Regulatory Authorities for Drug Safety & Approvals). •Availability of a new medicine on the Australian market is determined by both the time that it takes a sponsor to submit a data dossier to the TGA seeking registration, and the time that it takes the TGA to undertake an assessment of the medicine for safety, quality and efficacy. •This ‘submission gap’ contributes to the time it takes for new medicines to become available on the Australian market when compared to overseas markets (such as the US and Europe) whose regulators tend to be the first point of submission of data dossiers. •The median submission gap between the FDA (US) and the TGA was 181 days. •These submission gaps may be contributing to a perception that the TGA is slow to approve new drugs for market, as observers will not necessarily be aware the dossier was not submitted in Australia at the same time as it was submitted in, for example, the US. A copy of the review can be found on the TGA website. Astronomers have measured the distance to one of the Milky Way’s most bizarre objects for the first time, using the Australian Mopra radio telescope near Coonabarabran. Circinus X-1 is a binary star system that exploded a mere 2,500 years ago. It consists of a dense, collapsed neutron star, still in the orbital embrace of its companion star, and flashes X-rays as material from the companion star spirals into the neutron star and reaches high temperatures. “We have been able to work out that this strange object is 31,000 light years away, using Mopra’s ability to detect clouds of dust in interstellar space,” says study co-author, UNSW astrophysicist, Professor Michael Burton. UNSW’s Dr Catherine Braiding, also a study co-author, adds: "Circinus X-1 acts in some ways like a neutron star and in some like a black hole. It's extremely unusual to find an object that has such a blend of these properties." The research will be published in the Astrophysical Journal and is available now online. In late 2013, Circinus-X gave off a massive burst of X-rays in an event that lasted about two months. The flare was monitored by a detector on board the International Space Station. Researchers led by Professor Sebastian Heinz at the University of Wisconsin-Madison then quickly mounted a series of follow-up observations using two space-based telescopes – the Chandra X-ray Observatory and the XMM-Newton Observatory. They discovered four bright rings of X-rays around the neutron star at the heart of Circinus X-1. “These rings indicated there were dense clouds of gas between us and Circinus X-1, and that some of the X-rays from the massive outburst had been deflected off these particles of dust on their way to Earth,” says Professor Burton. “Using Mopra, we were able to find these clouds of gas, and locate their distance from us. "We like to call this system the 'Lord of the Rings', but this one has nothing to do with Sauron. The beautiful match between the Chandra X-ray rings and the Mopra radio images of the different clouds is really a first in astronomy." The team then worked out the distance to Circinus X-1, based on the differences in time it took X-rays to reach Earth directly and to reach Earth on a longer trajectory after being deflected by the gas clouds. “Distance measurements in astronomy are difficult, especially to sources like Circinus X-1, which are hidden in the plane of the galaxy behind a thick layer of dust, which basically makes it impossible to observe them with optical telescopes,” says Professor Heinz. The Mopra Telescope is a 22-metre single-dish radio telescope near Coonabarabran, 450 kilometres from Sydney. It has been mapping the centre of our galaxy, the Milky Way, for more than four years but is due to close later this year due to Federal Government funding cuts. UNSW’s Peter Saunders has been appointed to the World Bank Commission on Global Poverty. UNSW’s Professor Peter Saunders has been appointed to the World Bank Commission on Global Poverty. Professor Saunders from UNSW’s Social Policy Research Centre is renowned for his research on a range of areas including poverty and income distribution, household needs and living standards. The Commission has been established to provide answers to key questions about the Bank's new poverty targets and measures. Professor Saunders is one of 24 leading economists on the Commission, which will be chaired by Sir Anthony Atkinson, the Centennial Professor at London School of Economics, and a Fellow of Nuffield College, Oxford University. Amartya Sen who won the Nobel Memorial Prize in Economic Sciences in 1998 is also on the Commission. The World Bank currently defines extreme poverty as living on US$1.25 a day in developing countries. “That figure is out of date and we need a new one – and probably also a new measure too, one that captures the many dimensions of poverty. Most economists agree we should have a measure that includes more than income – and the work we’re doing at UNSW on deprivation might fit in here,” he says. The Commission will finalise its report by April 2016. June 25, 2015 - A collaborative group of Japanese researchers has demonstrated that the Earth's daily rotation period (24 hours) is encoded in the KaiC protein at the atomic level, a small, 10 nm-diameter biomolecule expressed in cyanobacterial cells. This research group included: Dr. Jun Abe, Assistant Prof. Atsushi Mukaiyama, and Prof. Shuji Akiyama of the Institute for Molecular Science (IMS) Research Center of Integrative Molecular Systems (CIMoS); Assistant Prof. Toshifumi Mori and Prof. Shinji Saito of the Department of Theoretical and Computational Molecular Science at IMS; Designated Prof. Takao Kondo of Nagoya University; and Assistant Prof. Eiki Yamashita of the Osaka University Institute for Protein Research. The results of this joint research will help elucidate a longstanding question in chronobiology: How is the circadian period of biological clocks determined? The results will also help understand the basic molecular mechanism of the biological clock. This knowledge might contribute to the development of therapies for disorders associated with abnormal circadian rhythms. In accordance with diurnal changes in the environment (notably light intensity and temperature) resulting from the Earth's daily rotation around its axis, many organisms regulate their biological activities to ensure optimal fitness and efficiency. The biological clock refers to the mechanism whereby organisms adjust the timing of their biological activities. The period of this clock is set to approximately 24 hours. A wide range of studies have investigated the biological clock in organisms ranging from bacteria to mammals. Consequently, the relationship between the biological clock and multiple diseases has been clarified. However, it remains unclear how 24-hour circadian rhythms are implemented. The research group mentioned above addressed this question using cyanobacteria. The cyanobacterial circadian clock can be reconstructed by mixing three clock proteins (KaiA, KaiB, and KaiC) and ATP. A study published in 2007 showed that KaiC ATPase activity, which mediates the ATP hydrolysis reaction, is strongly associated with circadian periodicity. The results of that study indicated that the functional structure of KaiC could be responsible for determining the circadian rhythm. KaiC ATPase activity exhibits a robust circadian oscillation in the presence of KaiA and KaiB proteins. In the study reported here, the temporal profile of KaiC ATPase activity exhibited an attenuating and oscillating component even in the absence of KaiA and KaiB. A close analysis revealed that this signal had a frequency of 0.91 day-1, which approximately coincided with the 24-hour period. Thus, KaiC is the source of a steady cycle that is in tune with the Earth's daily rotation. To identify causal structural factors, the N-terminal domain of KaiC was analyzed using high-resolution crystallography. The resultant atomic structures revealed the underlying cause of KaiC's slowness relative to other ATPases. "A water molecule is prevented from attacking into the ideal position for the ATP hydrolysis by a steric hindrance near ATP phosphoryl groups. In addition, this hindrance is surely anchored to a spring-like structure derived from polypeptide isomerization," elaborates Dr. Jun Abe. "The ATP hydrolysis, which involves access of a water molecule to the bound ATP and reverse isomerization of the polypeptide, is expected to require a significantly larger amount of free energy than for typical ATP hydrolysis. Thus, the three-dimensional atomic structure discovered in this study explains why the ATPase activity of KaiC is so much lower (by 100- to 1,000,000-fold) than that of typical ATPase molecules." The circadian clock's period is independent of ambient temperature, a phenomenon known as temperature compensation. One KaiC molecule is composed of six identical subunits, each containing duplicated domains with a series of ATPase motifs. The asymmetric atomic-scale regulation by the aforementioned mechanism dictates a feedback mechanism that maintains the ATPase activity at a constant low level. The authors of this study discovered that the Earth's daily rotation period (24 hours) is implemented as the time constant of the feedback mechanism mediated in this protein structure. KaiC and other protein molecules are capable of moving on short time scales, on the order of 10-12 to 10-1 seconds. This study provides the first atomic-level demonstration that small protein molecules can generate 24-hour rhythms by regulating molecular structure and reactivity. Lab head and CIMoS Director Porf. Shuji Akiyama sees, "The fact that a water molecule, ATP, the polypeptide chain, and other universal biological components are involved in this regulation suggests that humans and other complex organisms may also share a similar molecular machinery. In the crowded intracellular environment that contains a myriad of molecular signals, KaiC demonstrates long-paced oscillations using a small amount of energy generated through ATP consumption. This clever mechanism for timekeeping in a noisy environment may inspire development of highly efficient and sustainable chemical reaction processes and molecular-system-based information processing." 1) Clock protein: A clock protein plays an essential role in the circadian pacemaker. Mutations and deficiencies in clock proteins can alter the intrinsic characteristics of circadian rhythm. 2) ATP: Adenosine triphosphate is a source of energy required for muscle contraction and many other biological activities. ATP, a nucleotide that mediates the storage and consumption of energy, is sometimes referred to as the "currency of biological energy" due to its universality and importance in metabolism. ATP consists of an adenosine molecule bound to three phosphate groups. Upon hydrolysis, the ATPase releases one phosphate molecule plus approximately 8 kcal/mol of energy. 3) Polypeptide isomerization: Protein polypeptide main chains undergo isomerization on a time scale of seconds or longer; therefore, protein isomerization is one of the slowest biological reactions. Most functional protein main chains have a trans conformation, and a few proteins have a functional cis conformation. A fleet of floating bio-robots will be deployed between Christmas Island and Madagascar next week to help gain an understanding of the physical and biological workings of the crucially important Indian Ocean. The BioArgos, being released by CSIRO, are equipped with tiny sensors that can measure biological indicators within the ocean including dissolved oxygen, nitrate, chlorophyll, organic matter and particles. It will be the first time CSIRO has used the new BioArgo robotic floats to measure this massively under-sampled part of the world. "These can tell us about the growth of plankton, how much carbon they take up, how much gets used up the food chain and how much gets buried," CSIRO project leader Dr Nick Hardman-Mountford said. "Knowing about this growth is important for predicting how much food the Indian Ocean can produce and how much carbon dioxide it can capture, and will give us a better idea of what keeps the Indian Ocean healthy and productive." Once in place, the robotic float descends to a depth of 2000 metres, drifting with the current and directly measuring physical and biological characteristics of the water. They then ascend to the surface to transmit the data via satellites back to the researchers in real time. The Indian Ocean contains vast mineral, oil and fisheries resources, and is important for shipping and the livelihoods of the large populations around its rim. "Despite its importance, we know relatively little about the depths and biological health of the Indian Ocean," Dr Hardman-Mountford said. 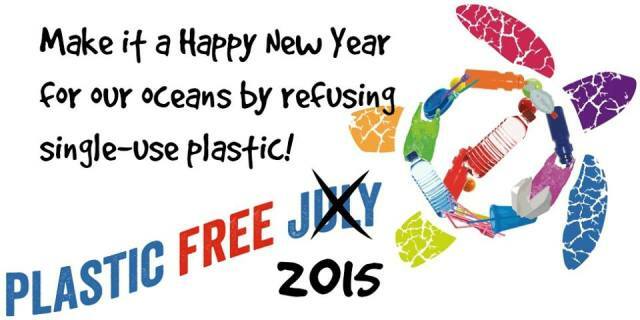 "The east Indian Ocean alone brings in catches of seven million tons of fish per year. "It also contains oil and gas resources, and mineral resources like copper, iron, zinc, silver and gold. "And it also drives the climates of its surrounding regions, which make up more than 16 per cent of the world's entire population. The voyage is part of a UN Food and Agriculture Organization (UNFAO) voyage on the Norwegian research vessel Dr Fridtjof Nansen, with the project funded by the Department of Industry's Australia-India Strategic Research Fund, CSIRO Oceans & Atmosphere Flagship and Earth Observation Informatics Future Science Platform, the Indian Government's Department of Science and Technology, and UN FAO. CSIRO's Dr Francois Dufois will set sail from Jakarta on 26 June, with a stop at Christmas Island to load the BioArgo floats. "The voyage will progress westward across the Indian Ocean to Mauritius and Madagascar, with four BioArgos being deployed in anticyclonic eddies along the way," Dr Dufois said. "We'll compare the BioArgo measurements with observations from satellites to build up a 3-dimensional picture of the Indian Ocean's depths." Top: Nick Hardman-Mountford checks a BioArgo's satellite communication link. Humans have spent almost a decade getting a spacecraft, New Horizons, all the way to Pluto – but why did we go to so much effort? Nature Video takes a look at the history of this famous 'non-planet' and asks why it is that we care so much about Pluto. Does your baby snore like dad? Babies and infants who snore are widely under diagnosed, according to Australian researchers investigating sleep apnea hypopnea syndrome (SAHS) in infants. A study conducted by engineering researchers at Western Sydney and Sydney universities has investigated two minimally invasive sensors as an early detection method of SAHS – a respiratory condition experts estimate can affect up to 4 percent of infants. Sleep-related breathing disorders in infants have been linked to negative developmental effects such as cognitive impairment, depression, and attention deficit/hyperactivity disorder, according to Gregory Cohen from UWS, and Philip de Chazal at the University of Sydney. "While it is possible to perform overnight polysomnograms on infants, the intrusive nature of the multitude of sensors limits the practicality and effectiveness of the technology and can lead to lower quality results," Professor de Chazal explained. "There is a clear need for the development of a less invasive, lower cost means for the detection and diagnosis of apnea events using easily accessible and low-cost sensors." His co-investigator Gregory Cohen, PhD candidate at UWS, says the research forms an important step in demonstrating the potential for such low-cost and minimally invasive diagnostic systems. "However there is still work to be done to bring the performance of the system to a clinically acceptable accuracy," says Mr Cohen. "Further research using data acquired with higher-resolution sensors will be instrumental in boosting the reliability and the diagnostic power of such a system." Cohen and de Chazal studied an existing dataset of 396 scored overnight polysomnography recordings from the international CHIME study. The dataset contained data from healthy infants, infants diagnosed with sleep apnea, infants with siblings who had died from sudden infant death syndrome (SIDS) and pre-term infants. Australian's national Sleep awareness week is 6 -12 July. 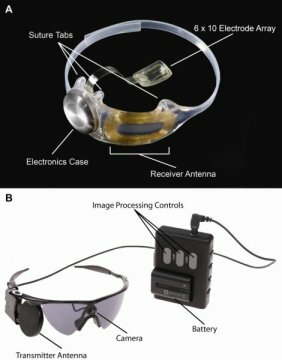 June 23, 2015 - The three-year clinical trial results of the retinal implant popularly known as the "bionic eye," have proven the long-term efficacy, safety and reliability of the device that restores vision in those blinded by a rare, degenerative eye disease. The findings show that the Argus II significantly improves visual function and quality of life for people blinded by retinitis pigmentosa. They are being published online in Ophthalmology, the journal of the American Academy of Ophthalmology. Retinitis pigmentosa is an incurable disease that affects about 1 in 4,000 Americans and causes slow vision loss that eventually leads to blindness. The Argus II system was designed to help provide patients who have lost their sight due to the disease with some useful vision. Through the device, patients with retinitis pigmentosa are able to see patterns of light that the brain learns to interpret as an image. The system uses a miniature video camera stored in the patient's glasses to send visual information to a small computerized video processing unit which can be stored in a pocket. This computer turns the image to electronic signals that are sent wirelessly to an electronic device implanted on the retina, the layer of light-sensing cells lining the back of the eye. The Argus II received Food and Drug Administration (FDA) approval as a Humanitarian Use Device (HUD) in 2013, which is an approval specifically for devices intended to benefit small populations and/or rare conditions. In Europe Argus II received the CE Mark in 2011 and was launched commercially in Italy, Germany, France, Spain, The Netherlands, Switzerland and England. To further evaluate the safety, reliability and benefit of the device, a clinical trial of 30 people, aged 28 to 77, was conducted in the United States and Europe. All of the study participants had little or no light perception in both eyes. The researchers conducted visual function tests using both a computer screen and real-world conditions, including finding and touching a door and identifying and following a line on the ground. A Functional Low-vision Observer Rated Assessment (FLORA) was also performed by independent visual rehabilitation experts at the request of the FDA to assess the impact of the Argus II system on the subjects' everyday lives, including extensive interviews and tasks performed around the home. The visual function results indicated that up to 89 percent of the subjects performed significantly better with the device. The FLORA found that among the subjects, 80 percent received benefit from the system when considering both functional vision and patient-reported quality of life, and no subjects were affected negatively. After one year, two-thirds of the subjects had not experienced device- or surgery-related serious adverse events. After three years, there were no device failures. Throughout the three years, 11 subjects experienced serious adverse events, most of which occurred soon after implantation and were successfully treated. One of these treatments, however, was to remove the device due to recurring erosion after the suture tab on the device became damaged. "This study shows that the Argus II system is a viable treatment option for people profoundly blind due to retinitis pigmentosa -- one that can make a meaningful difference in their lives and provides a benefit that can last over time," said Allen C. Ho, M.D., lead author of the study and director of the clinical retina research unit at Wills Eye Hospital. "I look forward to future studies with this technology which may make possible expansion of the intended use of the device, including treatment for other diseases and eye injuries." Top: Figure A, The implanted portions of the Argus II System. Figure B, The external components of the Argus II System. Images in real time are captured by camera mounted on the glasses. The video processing unit down-samples and processes the image, converting it to stimulation patterns. Data and power are sent via radiofrequency link form the transmitter antenna on the glasses to the receiver antenna around the eye. A removable, rechargeable battery powers the system. Credit: Photo courtesy of Second Sight Medical Products, Inc.
Townsville and Texas researchers discover a genetic basis to temperature tolerance in coral. And it likely depends on ‘mum’s genes’. 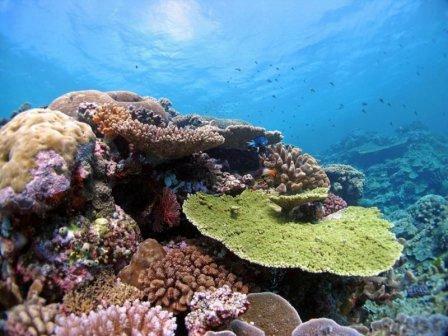 A team of Australian and US scientists have discovered that corals already have the genes to tolerate global warming. It may only be a matter of shuffling them to where they are most needed. Migration and breeding may allow coral to adapt to hotter oceans, and offer a path for smarter reef conservation and restoration, according to a paper published today in Science by researchers from the Australian Institute of Marine Science (AIMS) and the University of Texas at Austin. The team crossed individuals of branching coral Acropora millepora from the far northern Great Barrier Reef with members of the same species at Orpheus Island, 540 km further south. They found that corals living in warmer waters on the north of the Great Barrier Reef pass on higher temperature tolerance to their offspring. The study also suggests that ‘Mum is best’: coral larvae had up to a ten-fold increase in their chances of surviving heat stress, of which five-fold was contributed by the mother. A possible explanation was provided by genetic analysis: tolerant larvae had altered expression of genes working in mitochondria, the powerhouses of the cells that are inherited solely from mothers. “This discovery adds to our understanding of the potential for coral on the Great Barrier Reef to cope with hotter oceans,” says Dr Line Bay, an evolutionary ecologist from AIMS in Townsville and joint senior author on the paper. Before such steps are considered we need to learn much more about coral adaptability to be able to discriminate between ‘winners’ and ‘losers’ in the game of climate change. One of the first tasks would be to confirm the role of mitochondria in heat tolerance, which was suggested for the first time by this study. This study is part of a broad body of work at AIMS into the ability of coral and coral communities to adapt to a changing climate and to cumulative impacts of stress factors such as heat, ocean acidity, sediment, and water quality. This study was supported by funds from the US National Science Foundation and the Australian Institute of Marine Science. For further information visit www.aims.gov.au andhttps://cns.utexas.edu.